አሐቲ ተዋሕዶ AHATI TEWAHEDO: ማኅበረ ቅዱሳንን ለምን ጠሉት?? I am a proud member of Mahebere Kedusan, but I will not say MK is a perfect association. I do believe people may make mistakes while doing something, which is natural! Why we always see the bad side of MK? What about other associations? Why only MK? “Mahebere Kedusan min aderege?? ?” This article in Ahati Tewahido definitely answered my questions perfectly. But why do you believe MK should waste its precious time and human power to respond to these foolish insults? Leave alone a true Christian, anybody who believes in truth can see and judge the bad mentality of those brothers wasting time insulting others without their fault. Kedus Metsafes “awrew be Kedusan lay yesedeb neger yenager zend andebet tesetew” aydel yemilew? Ke MK belay Kedusan bemisedebubet blog MK min belo selerasu mels yest? Yediabilos andebet kemehon yetebeken! Amen. Wow, you are write, and MK keep the church under the God, we always promote mahibere kidusan. 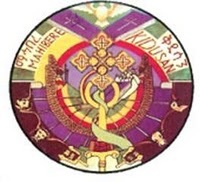 Members of mahibere kidusan sometimes make amista so you have to accept as one associaton. አሳልፈው ለጠላት ቢሰጧት የሚያገኙትን ቱባ ዶላር፤ ሌት ተቀን ስለ ሃይማኖታቸው በሚያስቡ የቤተክርስቲያን ልጆች ቢመክንባቸው እንዴት አይጥሉት። ታዲያ ለሥጋዊ ድሎታቸው ሲሉ ዲያቢሎስ እንደሻቸው የሚጋልባቸው የግብር ልጆቹ ያልጠሉት ማን ይጥላው? 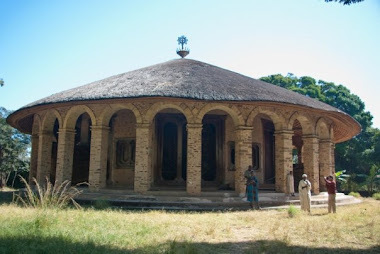 እግዚአብሄር ያበርታቸው፡፡ሁሌም ቢሆን ማህበረ ቅዱሳን ለቅድስት ቤ/ከ እውቀታቸውን፤ ጊዜያቸውን፤ጉልበታቸውን ሳይቆጥቡ ሲያገለግሉ ነው የማየው፡፡እግዚአብሄር ጽናቱን ይስጣቸው! I wish we had more Mahiberat like MK. እባካችሁ በእዉነት ቤተ ክርስቲያንን የምትወዱ ሁሉ MK ንም መዉደድ አለብን ለምን ብንል በሙሉ ጊዜዉና ገንዘቡ ከቤተ ክርስቲያን አልተለየም። tnbitu yifetsem zend gid newuna mengist be mengst hizb be hizb lay ... getachin tenagroal . le hulum egziabher wede melkam menged yimran amen.